Today, the tennis world got the news that the independent tribunal appointed by the International Tennis Federation handed down a two year ban to Maria Sharapova for taking banned substance meldonium during the 2016 Australian Open. But, even more interestingly, we got to read the decision. So, with my trusty law degree in hand, let’s dive in, Socratic Method style. What is the law at issue here? 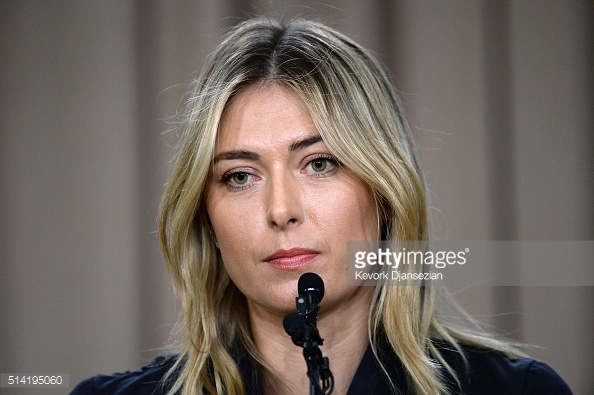 In addition, Sharapova asserted that she may be entitled to a further reduction in suspension because the ITF knew that she had taken meldonium in 2015 and did not warn her specifically about the change in the WADA list and could not now use her positive tests against her when it was silent before. Or, in legal jargon, Sharapova argues that the ITF is estopped from pursuing its charge against Sharapova because it took a contrary, or at least, inconsistent position with her with respect to meldonium in the past, and cannot now change its position to suit its purposes in this case. Finally, the parties dispute whether the Tribunal had its own inherent authority to deviate from the mandated suspension length, due to proportionality — i.e. due to the extreme nature of this case, and the specific facts applicable to Sharapova (her age, her loss of income), does the Tribunal have the right to reduce her suspension below the one year minimum under the relevant rule. The Tribunal said she did not take the substance to enhance performance, that’s good, right? It is good for Sharapova that the Tribunal found that she did not take meldonium with an intent to enhance performance. In fact, the Tribunal noted that when she first was prescribed meldonium, it was in connection with her concerns about her frequent illnesses and colds, and not with an intent to enhance performance. This finding alone kept her from receiving a four year ban, which, in all likelihood, would have been a sure career ender. However, the Tribunal wasn’t exactly unequivocal in its support of her. While it ruled in her favor on the “intentionality” questions, it did cast a lot of shade her way, when it came to describing her use of meldonium, and her concealment of the use of meldonium from her team. The decision clearly states that, while Sharapova may not have started taking meldonium as a performance enhancer, she didn’t treat it like a regular “vitamin,” particularly after she stopped working with the doctor who initially prescribed it to her. In particular, the Tribunal noted that only her father and her agent, Max Eisenbud, knew of her use of meldonium, and that she never disclosed it to her doctors, nutritionist or coach. The Tribunal noted also that she took the medication on match days, and on intense training days, i.e. when she would need additional strength, thus concluding that her use of meldonium was, indeed, to enhance her performance. Wait, if the Tribunal thinks she did use performance enhancing drugs, why didn’t she get a longer suspension? Well, that’s the strange thing about the standard here. Apparently, the issue for “intentionality” is whether Sharapova intended to violate the Anti-Doping rules, i.e. did she intentionally take something that she knew would violate the rules. Because she didn’t know that meldonium was on the WADA list for 2016, the Tribunal found that she didn’t “intend” to violate the Anti-Doping rules, and she’s automatically bumped down to two years. But, it’s a very narrow distinction — the Tribunal found that she was using meldonium in a performance enhancing way, but the fact that she didn’t know that it was banned exculpated her. Shouldn’t the ITF have told Sharapova about the change to the WADA list more clearly? The Tribunal didn’t think so. Specifically, the ITF presented evidence that it had sent two emails and also distributed “wallet cards” and flash drives containing the updates to the WADA list, and noted that meldonium was included on the full list with its trade name (Mildronate) as well as its chemical name, which was unusual, but done to better warn affected athletes. The Tribunal more strongly rejected Sharapova’s argument that she merited a personal warning because the ITF was aware that she had tested positive for meldonium. Specifically, the ITF was able to demonstrate that it did not and likely could not have obtained the information about her positive tests under the existing testing protocols, and thus could not have warned her specifically. So, no estoppel here, folks. Why couldn’t she get a one year suspension — that seems more fair? The Tribunal rejected Sharapova’s argument that she violated the WADA rules with “no significant fault or negligence” — and that is the primary way she could have argued for a reduction to one year. Specifically, the Tribunal was downright skeptical of the methods Sharapova and Max Eisenbud described her using to check the Anti-Doping list, and in how their prior practice compared to the meldonium use. First, Eisenbud testified that it was his job to check her medications against the WADA list, which he did annually during his winter vacation in the Caribbean, where he took a printout of the list, and a list of his clients’ medications with him and reviewed them poolside. The Tribunal rejected this evidence out of hand as not credible, and, even if it were true, found that this method of checking the list didn’t qualify as not negligent, given that Eisenbud had no medical training or expertise to review the list. Second, the Tribunal found that Sharapova and her team had used other methods to check other medications in the past. In particular, the Tribunal noted that she or Eisenbud had emailed the WTA on multiple occasions in the past to check on medications as they were prescribed, and the other medications or supplements she took were vetted by other members of the team. Bottom line — the Tribunal found that Sharapova’s method for ensuring compliance with the Anti-Doping policy was negligent, and that she was not entitled to a reduction to one year. And, as for Sharapova’s further arguments that the Tribunal, of its own accord, could reduce her suspension in the interest of fairness, the Tribunal rejected that it had that inherent authority, and noted that her specific circumstances and losses were specifically precluded from being considered in meting out punishment under the relevant WADA rules. Thus, because she didn’t meet the requirements for any exception two the two year ban, that’s the ban that Sharapova got here. Did she do the right thing in coming out ahead of the story? That’s a tough one. I do think it has given her the benefit of the doubt in public perception, probably a lot more than the decision itself actually would engender if she hadn’t gone public so early and so forcefully. And, I think it’s a big reason that Nike and Head and many of her other sponsors are hanging in there. On the other hand, just as a matter of legal strategy, it drew a target on her back, and it gave the ITF ample opportunity to get its defenses ready to go after her arguments. Also, the ITF seems to have been pretty aggressive — pushing for four years here — and one wonders if that would have happened if she had not come out with an argument that she was not adequately warned by them. What would you have done differently in this case? Well, hindsight is always 50/50, so take this with a grain of salt. But, sometimes clients drive cases based on their sense of injustice, rather than on what the best litigation strategy is. It appears that Sharapova argued that she deserved an individual warning because the ITF knew that she had tested positive, but then had to concede during the proceeding that the ITF did not and likely could not have known her specific results. That strikes me as a something that her legal team could have figured out based on the WADA protocols before forwarding a losing argument in front of the Tribunal. Especially when that argument isn’t exactly a good look — I deserved a special warning because they knew I used it before — isn’t sympathetic. So, here, I might have pushed back against making that argument. But, sometimes, bad facts are bad facts. Here, she took the substance, in a manner that is likely consistent with it being beneficial to performance on specific days and times, and largely in secret, which probably prevented her team from adequately checking the WADA list. Those are not good facts. There’s no amount of skilled lawyering that can get you past bad facts, particularly before a non-judicial tribunal, where you can’t use the rules of procedure and evidence to your advantage. So, I can’t say that they did a bad job here. Why do you think she kept it a secret? Doesn’t that prove she was using it to enhance performance? This is just pure speculation, but I’ll take a crack at it. Every player is looking for that magic bullet that his or her competitors don’t have. Whether it’s Djokovic’s quasi-vegan diet, or Nadal’s Uncle Toni, or a new racquet or exercise regime, players are looking for that extra few millimeters of edge to get past their opponents. I think Sharapova kept her meldonium use private because she didn’t want everyone else trying it — this was a special supplement she got by going to a Russian doctor in Russia, and she was not about to have everyone try it out. And, given the carousel that coaching can be, she wasn’t about to share it with the rest of the team, because they could take that knowledge to their next gigs. So, she disclosed it to two people who would never leave — her father and Eisenbud, and after that only to Russian doctors who were familiar with it, and would not have blinked at hearing about it. But, again, this is pure, out-of-the-air conjecture, so take it for what it’s worth. What do you make of the Eisenbud testimony? I think he was trying to protect Sharapova. It may be that he was specifically entrusted with the responsibility of checking out her medications with the banned list. Or maybe he felt that it was his responsibility, especially for the substances that weren’t disclosed to the rest of the team. He certainly put himself right in the crosshairs in testifying before the Tribunal, and took a sizeable hit for his efforts. But, the one question I have is that, if that really was Eisenbud’s responsibility, and he discharged it in such a cavalier way, wouldn’t he be fired? It’s hard to imagine Sharapova tolerating this negligence, even from her most trusted ally. Then again, we’ve all made mistakes, and it’s a particular lawyer nightmare of mine to miss something on a huge list one has been asked to check over the holidays when you’d rather be on vacation, so I’d forgive it, even if it was his fault. What are her chances on appeal? It’s generally been that the Court of Arbitration for Sport, the panel that would hear the appeal of this case, is more sympathetic to players, than the Tribunal. But the Tribunal went out of its way to present its decision in a pretty unflattering light to Sharapova, I have to say, and the ITF certainly was aggressive in seeking a four year ban. I am not sure whether Sharapova will be able to present new evidence, or, as is often the case with appeals, she has to rely on the record before the Tribunal. Just for the more sympathetic forum, I’d hazard a guess that some months may be removed from her suspension, but the picture painted by the Tribunal is not a pretty one. While the Tribunal didn’t say that she intended to violate the Anti-Doping policy, they came awfully close, by concluding that she took meldonium to enhance performance and concealed her use of it from the professionals on her team entrusted with her medical and nutritional care. If she gets a chance to refute these conclusions with facts, her chances of a reduced suspension get better. The Tribunal’s decision has to be seen mostly as a win for the ITF, and, as such, it’s hard to imagine them trying to reargue “intentionality” to get a longer suspension, unless they would use it strategically, to keep CAS from being too convinced by Sharapova’s attempt to reduce her suspension. I’d still expect to see her play sometime before 2018, but perhaps not much before. Where does Sharapova go from here? A funny thing — when you look up Sharapova on Getty Images the first couple of pages show her promoting Sugarpova, and on red carpets, though the last time we saw her in a tennis-ish setting was her March 7, 2016 press conference announcing her positive drug test. So, there’s plenty she can do to promote her brand, especially given that her major sponsors seem to be sticking by her. As for tennis, there’s a lot of incentive for her to stick it out. First, she is, above all else, a competitor, and it’s hard to imagine her bowing out without trying one more time. Second, Serena’s not getting any younger either — this may give Sharapova some time on the back end when she might not face Serena often or at all. Third, there’s a lot of money on the line — mostly in endorsements, which has to be a huge incentive for tennis’ most marketable stars to stay on the court, you know, marketing, for as long as possible. See R. Federer and R. Nadal, We Are Never Ever Retiring, 52 J. Tennis L. 150 (2014). * So, in the short term, probably more vacations with Chelsea Handler, but longer term, Sharapova will say her goodbye to tennis on court, not in a bizarre conference room in a downtown Los Angeles hotel. *Not an actual legal journal, but check out the Bluebooking!